argest new car market. In 2011, a total of 80 million cars and commercial vehicles were built, led by China, with 18.4 million motor vehicles manufactured. The U.S. publisher Ward's, estimate that as of 2010 there were 1.015 billion motor vehicles in use in the world. This figure represents the number of cars; light, medium and heavy duty trucks; and buses, but does not include off-road vehicles or heavy construction equipment. They state that the world vehicle population passed the 500 million-unit mark in 1986, and 250 million motor vehicles in 1970. Between 1970 and 1950, the vehicle population doubled roughly every 10 years. 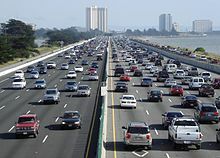 Two U.S. researchers estimate that the world's fleet will reach 2 billion motor vehicles by 2020, with cars representing at leas 50% of all vehicles. China’s and India’s automobile fleets are expected to grow at an annual rate of around 7 or 8%, while the slowest growth is expected in the United States, with less than 1% a year, and Western Europe, with 1 to 2%. Global vehicle ownership in 2010 was 148 vehicles in operation per 1000 inhabitants, a ratio of 1:6.75 vehicles to people, slightly down from 150 vehicles per 1000 inhabitants in 2009, a rate of 1:6.63 vehicles to people. In developing countries vehicle ownership rates in cities rarely exceed 200 cars per 1,000 population.